Dr. Bryan Nestor was born in Billings, Montana and raised in the Black Hills of South Dakota, which perhaps explains his passion for the mountains and the West. He attended Gonzaga University where he obtained a BA in Chemistry. He went on to attend Medical School at Georgetown University School of Medicine. He completed his residency in Orthopaedic Surgery at the Mayo Clinic in Rochester, MN. After residency he completed a three year military obligation, as part of the HSETC scholarship for medical school, at Portsmouth Naval Hospital where his responsibilities included Director of the Total Joint Service and resident education. Upon completion of his military service, Dr Nestor completed a fellowship in adult reconstruction at the world renowned Hospital for Special Surgery in NYC. He was invited to join the surgical staff at the Hospital for Special Surgery upon completion of his fellowship. His responsibilities included resident and fellow surgical education. 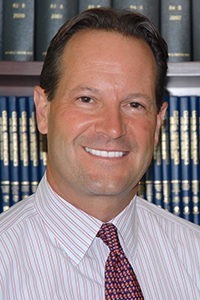 Notable accomplishments during his twenty year tenure at the Hospital for Special Surgery included establishment of a Research Laboratory for the study of osteolysis and the biological reaction to implants, as well as the establishment of a Total Joint Registry to track the clinical results of patients undergoing total joint replacement. The author of numerous peer reviewed articles, Dr. Nestor has lectured nationally and internationally on subjects related to total joint replacement of the hip and knee. He has three grown children residing in San Francisco with whom he enjoys skiing and climbing. Dr Nestor is an orthopaedic surgeon with twenty years of experience in primary and complex total hip and knee replacement as well as complex revision hip and knee replacement at the Hospital for Special Surgery, the number one ranked orthopaedic hospital in the United States, and is excited to be joining Washington Orthopaedic Center and it’s legacy of “excellence in patient care”.